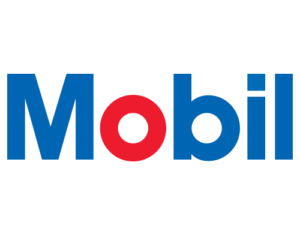 Mobil began as Socony, or the Standard Oil Company of New York, in 1911 and trademarked the name Mobiloil in 1920. Socony joined Vacuum Oil in 1931 to create Socony-Vacuum. The company changed its name to the Socony Mobil Oil Company in 1955. In 1966, Socony Mobil Oil Company became simply, Mobil Oil Company. In 1999, Mobil Oil Company merged with Exxon Corporation to form ExxonMobil Corporation, one of the world’s largest oil and gas corporations. Why Partner with Wallis to Open a Gas Station? Wallis has decades of experience with ExxonMobil, including being honored as a member of the ExxonMobil Circle of Excellence every year since 1986. We have also been recognized as one of the top distributors for ExxonMobil since 1996. Additionally, Wallis served as part of the test market for ExxonMobil’s Speedpass fuel card program in 1996, the full Speedpass expansion in 1999, and the Speedpass Instant Activation in 2005. When you partner with Wallis to open a gas station, you will benefit from a host of services we offer. There are numerous environmental regulations that must be met when planning for and setting up your location. Our team will manage and consult with you throughout the process to ensure that your store is completely environmentally compliant. You’ve heard the phrase before – “Location, Location, Location” – well, it’s true! A major aspect of successful gas stations and convenient stores is the location. Wallis will help you complete feasibility studies on your desired location (or locations) to ensure that it’s an area where you can be successful. An operational or business plan is key to the success of any business. The team members at Wallis have decades of experience in this business and will help you formulate a winning operational plan. The design and construction of your store is both an exciting and scary task; it’s when your dream and the fruits of your labor begin to take form! We’ll be there with you the entire time to make sure that process goes smoothly. Operating a gas station or a convenience store can be a challenge. Wallis will assist you in making sure that your team has the necessary skills to meet this challenge and turn your business into a success. For your store to be successful, you need to have a great team of people working for and with you. Wallis will provide HR support to assist with issues that may arise and to help keep your team operating smoothly and efficiently. The fuel you provide at your store is your primary inventory. We will help you manage your fuel to ensure you’re able to meet all your customers’ needs. With our expertise, we can help you meet the fuel demands of your customers throughout the year. Modern businesses need reliable technology and internet-connectivity to operate every day. We will assist with your IT consulting to ensure you’re up and running when you need to be. The team at Wallis has a deep understanding of the technology your business will be using, and we’ll be ready to assist you with it whenever you need us. When equipment malfunctions or doesn’t work properly, it can cost you business. Our team is ready to provide you with maintenance support to prevent equipment issues and to fix them quickly when they occur. Wallis will walk you through the entire process of opening your own location, from the first shovel in the ground until you sell your first candy bar or gallon of gas. We’re ready to help you succeed! Ready to open your gas station? Contact Jack Reiner today at (314) 709-5527! ON THE RUN is the true definition of “convenience” and gives you with the opportunity to provide useful service to your community. In addition to our conventional fuel services, Wallis Companies offers a competitive fleet card program with some fantastic features. Wallis’ bulk fuel, or commercial unbranded fuel, service is perfect for end-users who have their own fuel tanks or are fuel distributors. Looking to open a new store or change brands?